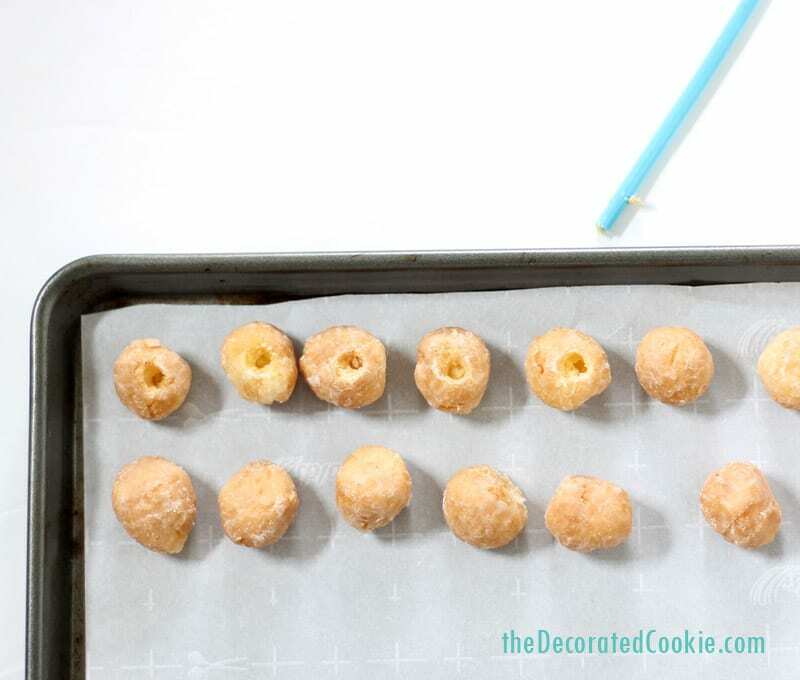 Booze-filled donut holes are easy to make and a hit to serve at brunch. Filled with Bailey’s and topped with chocolate. Yes. You WILL be the super star of brunch if you serve these or bring these or just talk about these boozy donut holes. 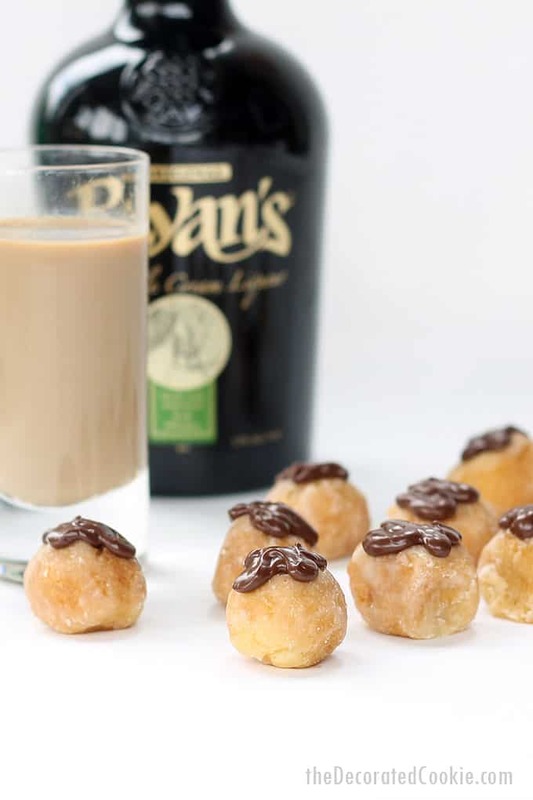 Specifically, Irish Cream liquor-filled store-bought donut holes. Baileys, Ryan’s, whatever your brand, that whiskey belongs in donuts. It’s like peanut butter and jelly. Rainbows and unicorns. Mork and Mindy. 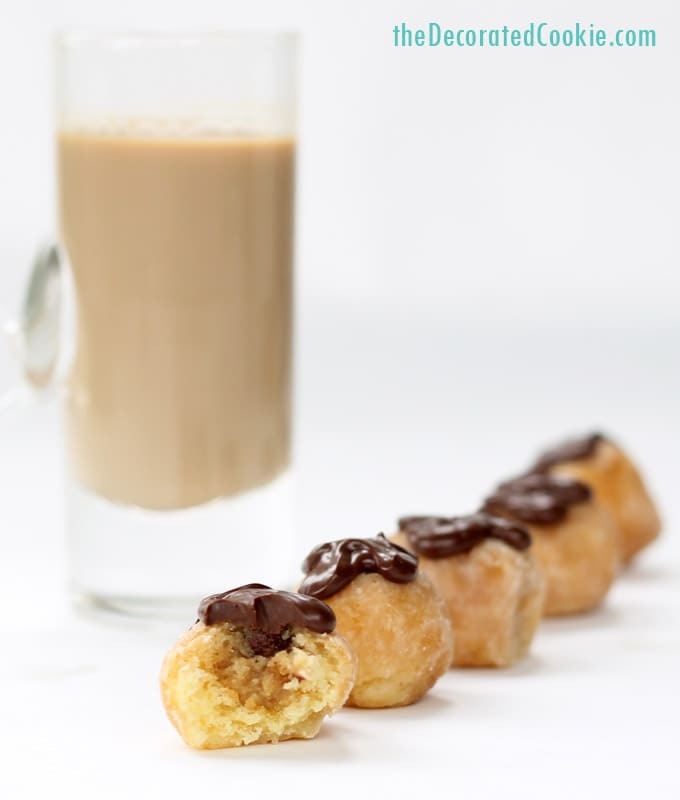 All you need to do is make a small well in store-bought glazed donut holes, fill with liquor and close with chocolate. To fill the donuts, I found these inexpensive pipettes at amazon. Or, come by my house and I’ll give you some. I have 100, and aside from filling donut holes, I’ve no other use for pipettes. Any suggestions on what to do with 99 pipettes? 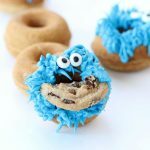 I like boozy donuts, but 99 rounds of them may be a few too many. The glaze on the donuts keeps the booze nice and safe inside, as long as you aren’t too ambitious when making the well and break through the bottom. Hence, these are very easy to eat. Too easy, some might say. 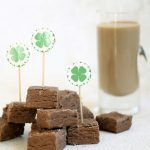 The Irish cream flavor is just right with donuts, and the chocolate topping seals the deal. So go ahead and start the next conversation at brunch (because these will start a conversation). Or happy hour. Or dinner. I won’t judge when you eat these. 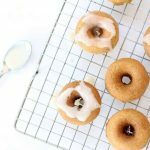 Line up donuts on a baking tray. With a straw, dig wells in each donut hole. Don’t be too ambitions or you’ll break the donut, and be sure to not reach to the bottom of the donut. 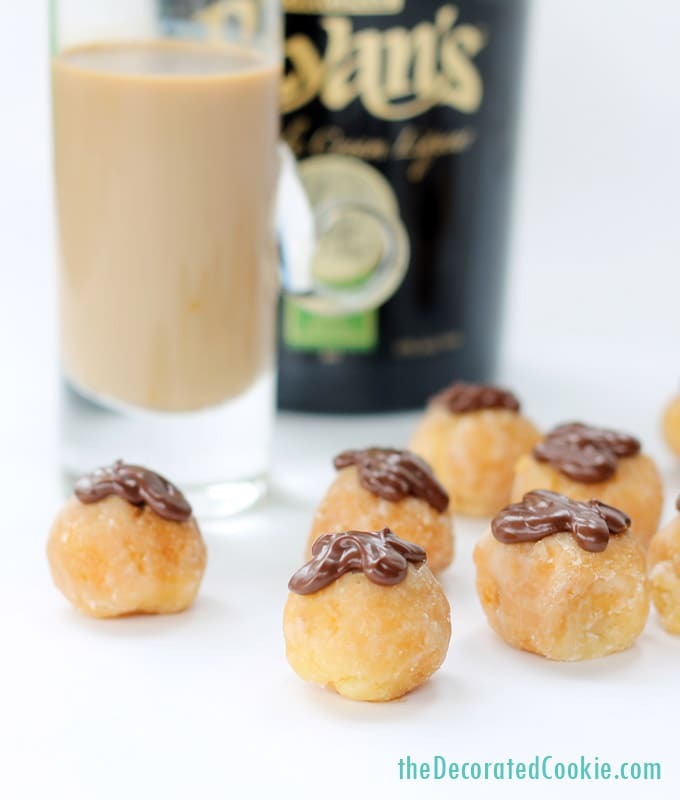 Use a pipette to fill the well of the donuts with Irish Cream liquor. Let the alcohol settle a couple minutes and fill with some more. 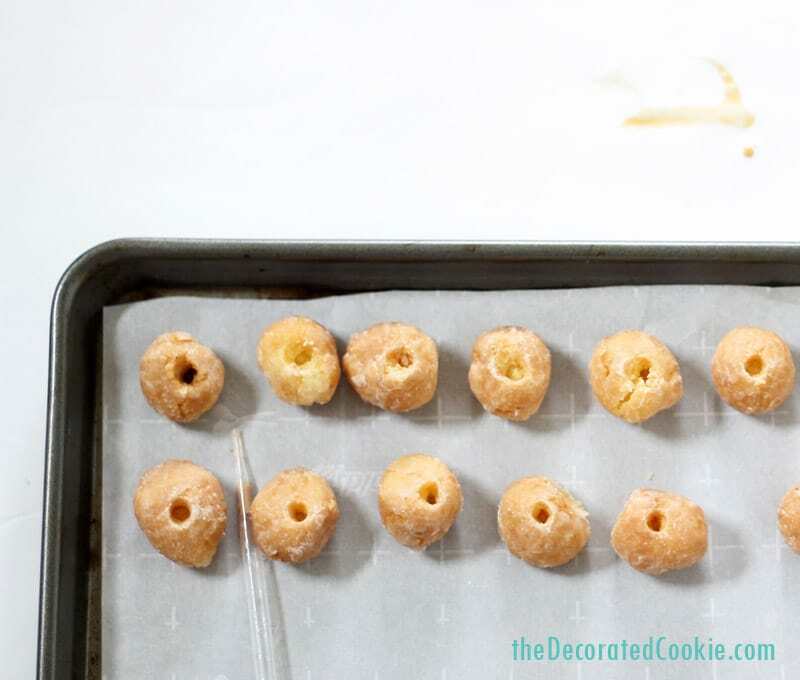 You should be able to get about 6 mL in each donut hole, or half a tablespoon. Pour about a cup of chocolate chips in a microwave-safe bowl and melt according to package directions. 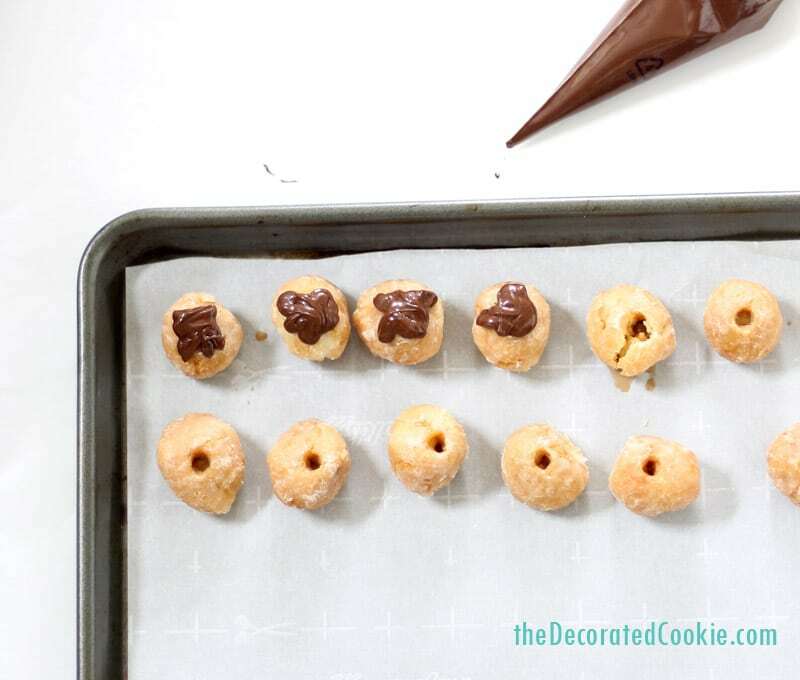 Transfer the chocolate into a disposable decorating bag, snip the tip and pipe to cover the tops of each donut. 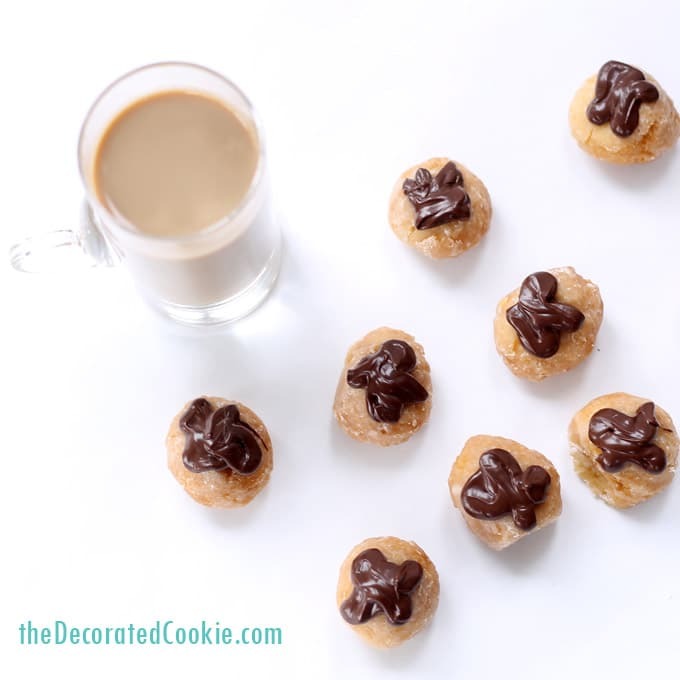 A cup of chocolate chips should cover about 30 donut holes. Let set and serve! May be kept at room temperature. These are best served between 3 and 4 hours of making. 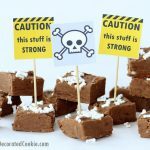 They still taste great the day after making, but the insides absorb more of the liquid and are mushier on day two.